Are you invited to several weddings this year? Do you want to give something other than money? 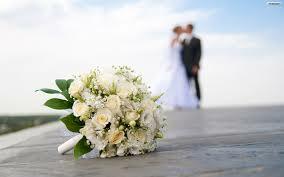 How about purchasing a wedding gift for the couple which is practical and unique? How do you decide on an appropriate gift which they will appreciate, not receive duplicates of and most obviously not break the bank? These days many couples have registries with stores (Macy’s, Crate and Barrel, Willams Sonoma…), which of course is a pre-selected wedding gift list. A wedding registry gives guests a guide to what the couple likes and needs. It is usually a small list and by the time you arrive at the store to make the purchase, it’s all been purchased or even worse, the only item remaining on the list is a $200 crystal vase. You may or may not find the registry the right route. Another option would be to join with other friends and purchase a gift of higher value, that each of you individually would not have been able to buy alone. The down side of that strategy is that you may feel that the couple will not identify any one particular gift with you and you’ll get lost by joining forces. You will also all need to contribute roughly the same amount and some can comfortably afford more than others, so that may become awkward. 1) Has the couple been living together or are they still living with their parents until the wedding has concluded? 2) What type of people they are? Perhaps they are particularly fond of the environment and like natural products. With all of these factors in mind, if you are truly looking for a unique wedding gift, I would recommend the extremely useful, long lasting and luxurious bamboo sheets. Bamboo sheets are considered some of the best sheets on the market today for several reasons. Not only do they have the thread count that consumers are looking for but their incredibly soft finish, breathability and durability are much better than it’s rival, cotton sheets. Now, to ensure they are appreciated by all, I recommend buying the best quality, which are 500 thread count sheets and have been compared to the ultra elite cashmere sheets. Bamboo bed sheets are also eco-friendly and do not cost a fortune. So, if you are expecting to be invited to a wedding or shower this season and you are looking for a unique and perfect gift, bamboo sheets fit the mold. They are offered in classic solid colors (Silver, White, Tan, Sage, Ivory, Chocolate and Blue) and will work with almost any bedroom theme or setting.